We just can’t make omega-3, so we have to get it from our diet. Why is that important? Omega-3 will decrease blood pressure and triglyceride levels. This helps conditions that are linked to hypertension and high cholesterol levels. Just consider the benefits of maintaining healthy flow of your circulatory system, foundational to just about everything in your body. There are many studies on the benefits of omega-3, including cancer, asthma, depression, ulcerative colitis and Crohn’s. Although studies are not conclusive, it is known that there are overall health benefits and we need omega-3 in our diet. Most studies are based on omega-3 from fish oil sources, and most supplements are derived from fish or seafood. ALA (alpha-linoleic acid) is also an important omega-3 fat, but most of us get sufficient amounts in our diets through canola oil or margarine made with canola oil. If you are allergic to fish or have seafood allergies, there are vegan or vegetarian sources for omega-3. Ground flaxseed, walnuts, tofu, and soybean have ALA omega-3 fat, but EPA and DHA need to come from fish, seafood, or eggs. All three omega-3 fats are considered important in our diets, talk to your pharmacist, dietician or doctor if you feel you may be lacking this in your diet. Consuming fish provides many other benefits, including vitamin D. However fish are not created equal! Fatty fish or cold water fish will provide more EPA and DHA (sardines, salmon, mackerel, herring). Pregnant women and infants should avoid eating fish that are considered to have high mercury content, such as albacore tuna or white tuna. To get sufficient omega-3, a supplement is recommended. Just as fish are different, so are the supplements for omega-3. 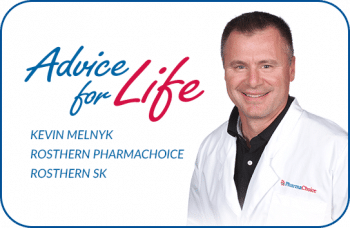 Your Pharmachoice pharmacist can answer your questions and help you determine whether a supplement is necessary and a product that fits you best. 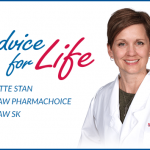 Patients on blood thinners or anti-inflammatory medications should discuss supplementing omega-3 with their pharmacist or doctor prior to use.